To be perfectly honest, this past year has been remarkably boring in the mobile segment. For whatever reason, phones have either stood still or regressed when it comes to overall quality. There are a few stand-outs that have been worth talking about like the Galaxy S6 lineup and the Galaxy Note5 lineup, but for the most part every phone I’ve reviewed this year has been disappointing in some way. I carry an iPhone 6 to make sure I stay current on changes in iOS, but my primary phone continues to be an HTC One M7. I was hoping to get a new Android phone this year, but so far nothing has really piqued my interest. Part of the problem this year is that performance and battery life haven't been the most impressive in a lot of cases. By this point, it's really not a surprise that Snapdragon 810 doesn't deliver as much performance as it needs to for the amount of power that it draws. However, even independent of SoC it seems a lot of OEMs haven't really pushed the bar in design or attention to detail. Some phones have cameras with almost unacceptable post-processing quality, others continue to have poorly calibrated displays, and the ones that have none of those have problems with software experience or something else. In general, no Android phone I've seen this year really delivers everything that I'd want in a single package. There are phones that are clearly better than others, but nothing that rises to the level that I'd want before putting down a few hundred dollars. In light of this lack of competition in the market, it's arguable that Apple is facing less competition than before. 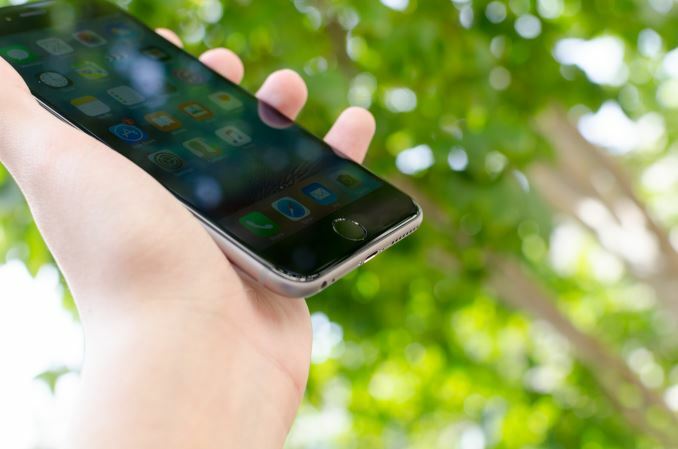 The iPhone 6s would continue to sell quite strongly even if this year's refresh was relatively minor as they would still end up quite strong competitively as they would be able to capitalize on momentum from previous years. If you were unfamiliar with the iPhone 6s and Apple's iPhone launch cycle, at first you might be convinced that Apple has done exactly that. However, in general the iPhone release cycle is such that industrial design is constant for two years at a time, so every other year sees a design refresh. When the design isn't refreshed, the phone often carries significant internal changes. In the past, the iPhone 3GS brought a better SoC, a faster modem, and a better camera. The iPhone 4S brought a new SoC, camera, and Siri. 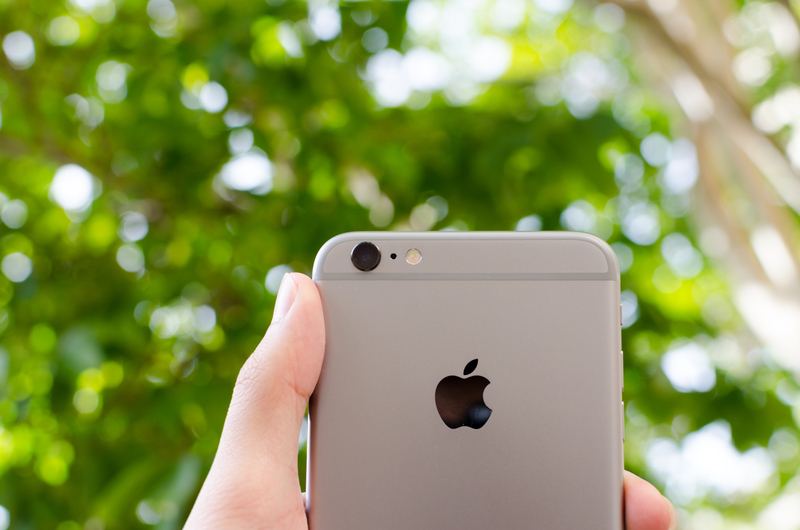 The iPhone 5s brought a new SoC, camera, and TouchID. In general, we can see a pretty clear pattern of evolution but it seems that with the 5s the refresh launches have generally brought new features as it has become insufficient to simply ship a faster SoC and possibly a modem and camera refresh to justify a new smartphone. In the interest of diving into these changes at a high level, we can start with our usual spec table, which can give an idea for whether there's anything immediately worth talking about. At a high level, there are already a number of changes that we can talk about. The SoC is new and improved for this year with improved performance and power. The rear camera now supports 4K video recording and has higher resolution photos than what we’ve seen before. The front-facing camera is now higher resolution as well. The iPhone 6s finally has 2 GB of RAM, with improved power and bandwidth along with improved multi-tasking that comes from additional RAM. The modem now uses less power and also capable of higher throughput, as is the WiFi chipset. Outside of these spec sheet changes, Apple has implemented a number of new features. One of the major highlights is 3D Touch, in which the display is force-sensitive and allows for new user interface actions based upon the amount of pressure applied to a point on the display. The front-facing camera now uses the display as an LED flash of sorts in low light, which measures ambient light in order to determine what white balance to use along with a backlight driver that temporarily spikes brightness to up to three times the normal maximum brightness for effective lighting. Both cameras now have Live Photos, which records a 1.5 second segment of video before and after the photo taken to capture a moment rather than an instant without the complication that comes with videos. Of course, before we can get into all of these changes we can start by focusing on the most immediate change, which is the design. For those that are unfamiliar with Apple’s iPhone launch cycle, the S launch cycle usually retains the same industrial design as the previous iPhone. As a result, the changes here are rather scarce. 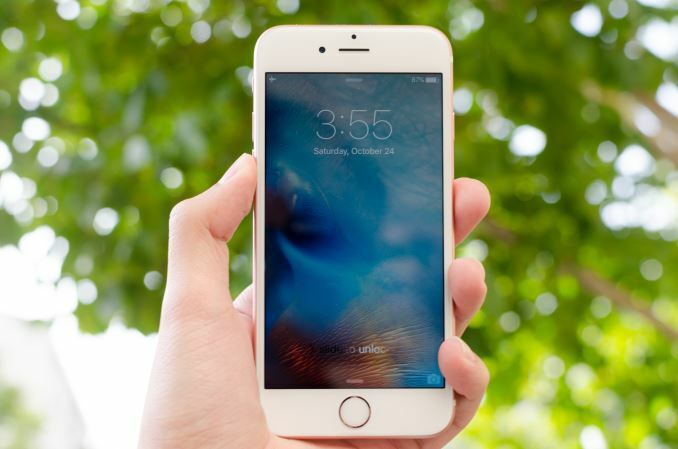 Those interested in a detailed description of the design should refer back to the iPhone 6 review. However, there have been changes to the look and feel of the iPhone 6s lineup. The first, and most immediate change is the addition of a new color that Apple calls Rose Gold. This is much redder in tone than what we saw with the Apple Watch Edition, to the extent that it looks more like a light pink with a gold tinge rather than gold with a light pink tinge. I’m probably the last person in the world to consult on what color looks best, but I don’t really see anything wrong with this color. 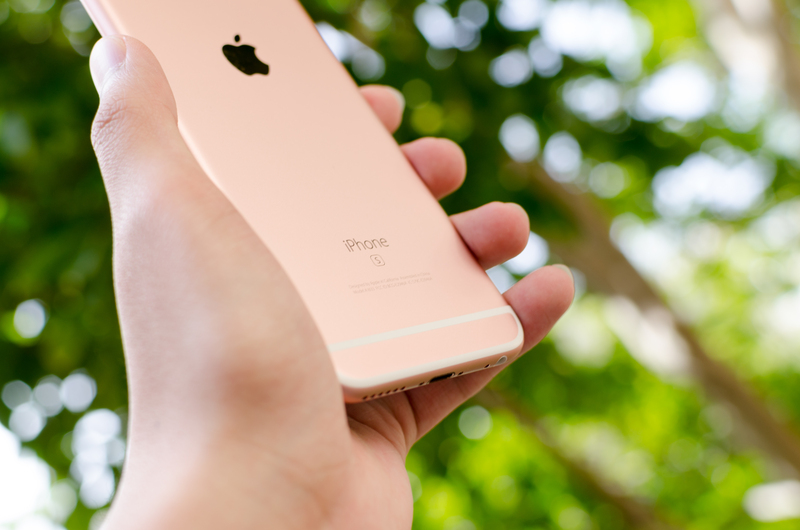 Outside of color, the iPhone 6s lineup has changed in a noticeable way when it comes to materials and in-hand feel. The aluminum back cover is now 7000-series, which increases rigidity with the addition of zinc which increases yield strength, or the pressure needed to permanently deform the material. It’s likely that relative to the iPhone 6, ultimate tensile strength has also increased, although given that tensile strength is a test of how well the metal avoids breaking apart it’s unlikely that this property matters all that much. If you're actually reaching the ultimate tensile strength of a phone's back cover, you've probably already broken everything else in the phone. 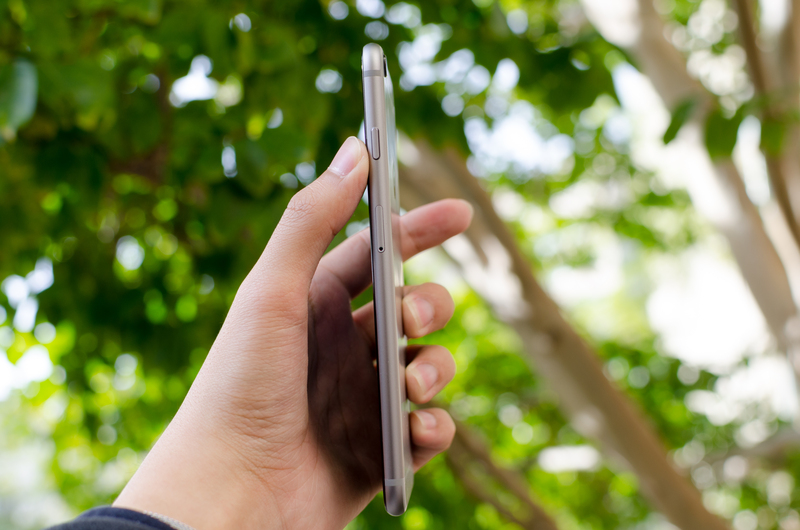 With the use of this new aluminum back cover, the phone should be less susceptible to bending under extreme forces. I never had a problem with this when testing the iPhone 6 last year, but it shouldn’t be a problem now. Oddly enough, I did notice that the iPhone 6s is easier to grip than the iPhone 6, but the difference isn’t big enough that I would avoid using a case. The other change is a new type of cover glass on the display, which uses a dual ion exchange process to make it tougher. 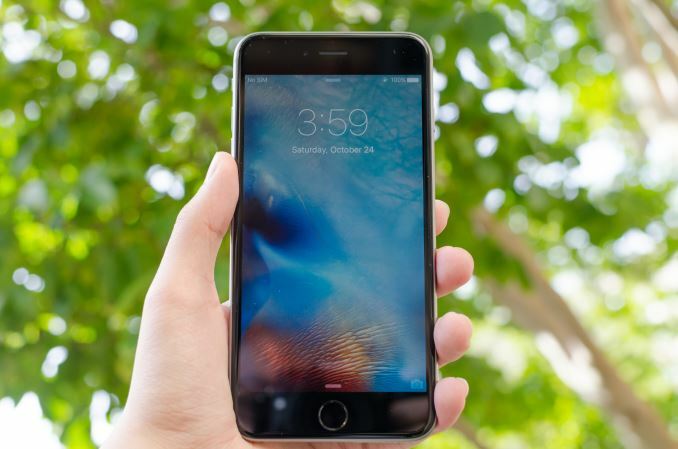 According to Apple, this glass is the most durable of any in a smartphone today. A simple search with Google gives reason to suggest that Corning is making this glass as Corning holds a patent for this process. While we have no idea what Apple’s process is, the same dual ion exchange process occurs, which creates two distinct stressed layers that improves impact strength relative to a standard single ion exchange that is seen in Gorilla Glass. 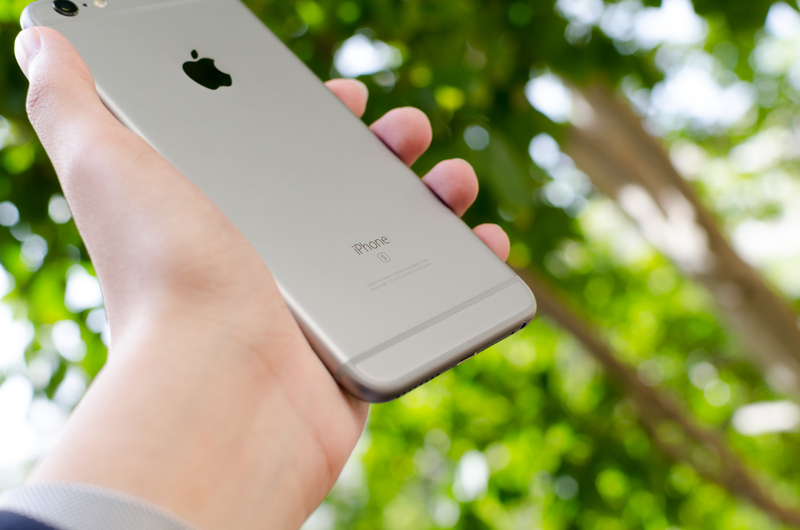 Other than this, the design of the iPhone 6s remains quite good. The rounded edges and slightly curved glass help with in-hand comfort and things like the placement of the 3.5mm headphone jack on the bottom is a smart idea as the headphone jack is easily accessible when the phone is inside a pocket. We can talk about how the camera hump means that the phone doesn't rest completely flat on a table, but given that the phone has gotten about 15 grams heavier in both the iPhone 6s and 6s Plus I suspect it makes sense for Apple to avoid making the phone any thicker with extra battery than they have now. I would rather see thinner lines to insulate antennas here, but I suspect that there is some RF requirement that makes it difficult for this to happen. Compared to something like the HTC One M9 which also has an aluminum unibody design Apple is far ahead in terms of overall ergonomics and cohesiveness. 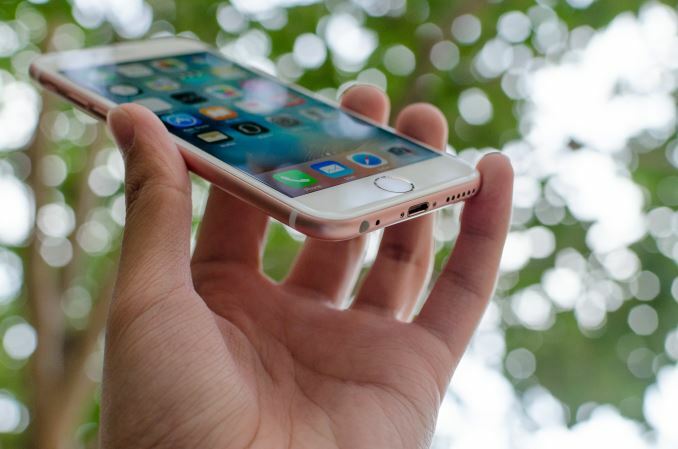 Relative to the Samsung Galaxy S6 I think the iPhone 6s is noticeably more comfortable due to the more rounded edges, but the iPhone 6s Plus and Galaxy Note 5 are pretty close in overall ergonomics. I do wish Apple would go to a front-ported speaker for the iPhone, but it seems that this is unlikely to happen due to the home button and bezel constraints. I couldn't agree more, the Android space has not stayed still, if anything, most of the problems on that side were due to Qualcomm's lack of a good offering this year, still, the phones were further refines in other areas, saying this is overall the best camera phone given the only advantage it has over the competition is reduced motion blur is complete bull, the UI is far from the best given that auto on both the SGS6/Note 5 and the G4 is as effective yet those still offer great manual settings. The -barely over 720p- display on the 6S is inexcusable for 2015 and given the starting price of the 6S should not be passed as an acceptable not even as a good display.